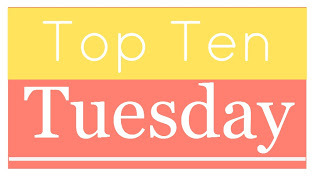 This week’s TTT is Top Ten 2014 Debuts I’m Excited For! I went to the trusty Goodreads, mainly browsing this list for books that were already on my TBR (and also adding 5 or 6 new ones). Each picture leads to its Goodreads page! Were any of these already on your TBR? How many did you add? Landry Park and Alienated are high on my list! Summer on the Short Bus sounds really good. I’ve seen Alienated on a few lists and am mesmerized by the cover.